Strawberry Shortcake! I shouted out to Jesse one morning - only to get the reply of "Have you ever had Strawberry Shortcake? You wouldn't eat that for breakfast baby". Pfffttt! When did I ever limit breakfast options?! 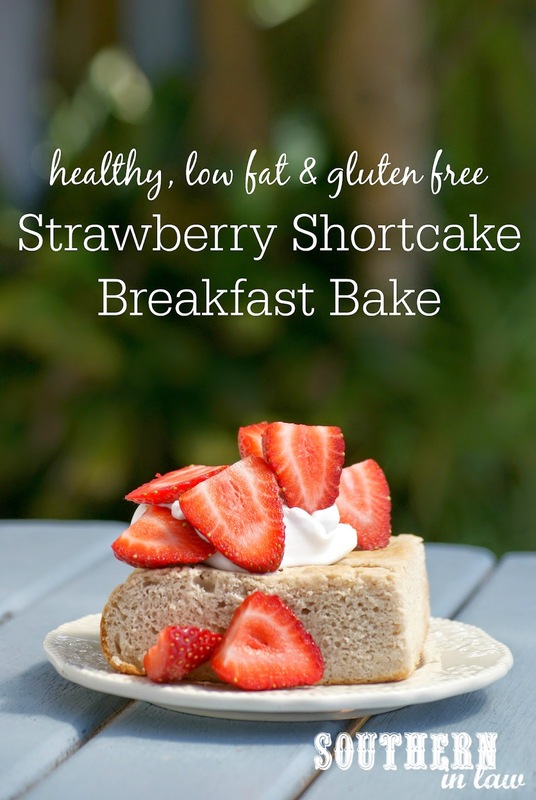 That was it, I was on a mission to create a strawberry shortcake that was so healthy I could eat it for breakfast - and I did! 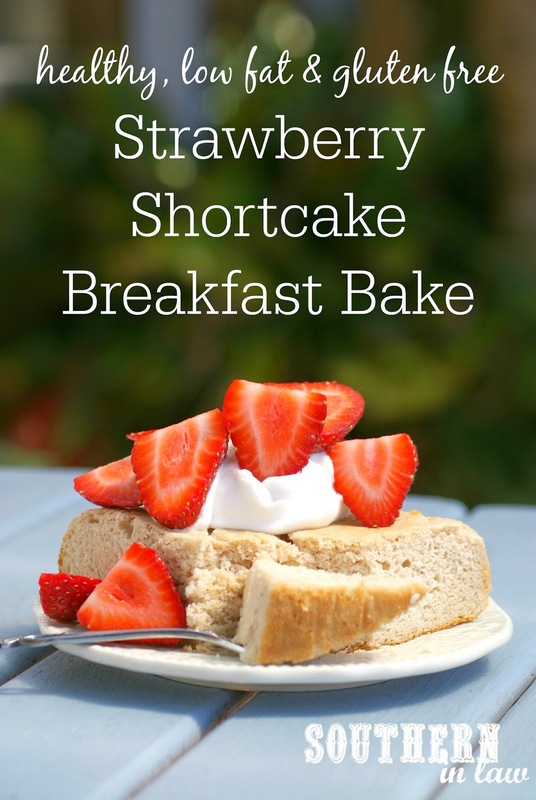 Whilst I don't know if you could call it a traditional Strawberry Shortcake, it's the perfect healthy breakfast alternative. With a thick, fluffy and light Ricotta Breakfast Bake base, coconut whipped cream and fresh juicy strawberries, you really can't go wrong! It really is like eating cake for breakfast and it is the perfect way to start your day. But let me give you the recipe! Optional: If you like your breakfasts on the sweeter side, add 1-3 tbsp honey or maple syrup. We usually leave this out and add the sweetness in our toppings! Note, we usually make a big batch of these breakfast bakes in advance then slice and freeze for a quick but delicious breakfast option. To defrost, simply place them in the fridge to defrost overnight or defrost them in the microwave. Grease and/or line an 8x8" square baking tin. Mix together all of your ingredients, mixing until all ingredients are smooth and combined. If needed, add in enough milk/water to form a thick muffin like batter (we find it depends on the ricotta but you may need to add 1/4-1/2 cup of liquid or none at all). Pour your breakfast bake mixture into your prepared tin and bake for 40 minutes to an hour, or until a skewer inserted into the middle of your bake removes clean. 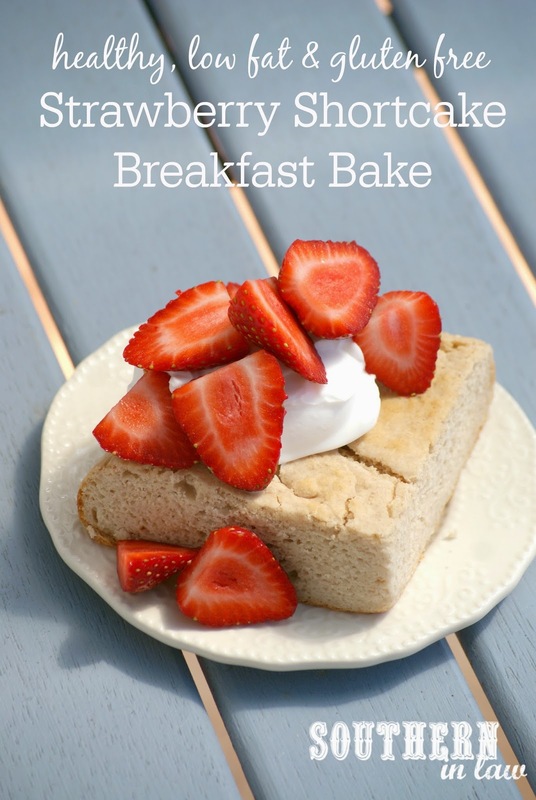 The breakfast bakes will keep fresh in the fridge for 3-4 days or can be frozen for months. 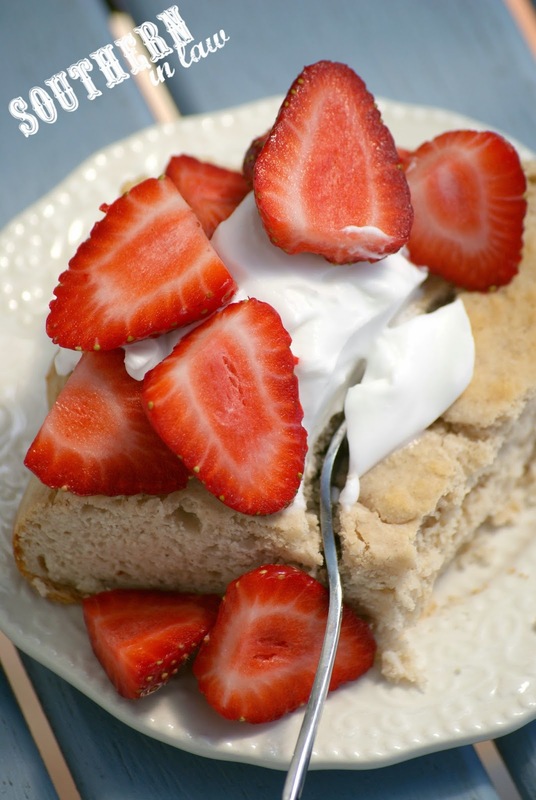 To serve, top with a dollop of whipped cream/cream cheese and add your strawberries! *Whilst you can simply use just gluten free plain flour, we usually like to use a mix of 1 cup gluten free plain/self raising flour (either works, gluten free baked goods can always use a little extra rise!) and 2/3 cup buckwheat or brown rice flour. The SR/Buckwheat Flour mix is our favourite. **I don't recommend using fat free ricotta in this recipe, however, you can use full fat ricotta. But tell me, what's one dessert/indulgent recipe you wish you could eat for breakfast? or simply wish was healthier? I'm always inspired by indulgent favourites - that's how we came up with our Breakfast Cheesecakes, Reese's Peanut Butter Cup Baked Oatmeal and Better than IHOP Pancakes Recipes! I've already mastered the "dessert" breakfast with my mug cakes! Haha! Mmmm, pie for breakfast sounds like a good idea!